Hernan Luis y Prado, President of Workshops for Warriors, located in San Diego, CA and members of his team came to visit our facility. 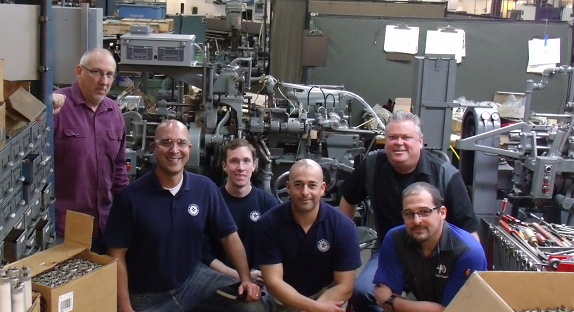 We are proud to announce that we will be working together to develop a Davenport Screw Machine rebuilding program. and prepare it for production line use with the ultimate goal that the students will become operators. Workshops for Warriors is a non-profit organization dedicated to training, certifying and placing veterans in manufacturing careers.